“When you talk to end users about ports, they’ll tell you how much they need them. They’ll talk about the vast number of USB devices that they have. It’s easy to hear that and determine that you need five or more ports based on what these people report. When you watch these people work, however, and you’re more overt in your methods — you rarely see that happening. So begins the backstory of the latest ThinkPad overhaul as told by Corinna Proctor, the senior research manager at Lenovo’s User Research Center. Clearly versed in the art of separating whimsical wishes from bona fide requirements, she spoke to me in a phone interview alongside two of her colleagues in the run-up to today’s unveiling of the redesigned ThinkPad T431s Ultrabook. The machine itself is still very much a ThinkPad — it’s black, it’s understated and it’s tough as nails — but those who appreciate the evolution of technology will no doubt recognize some changes. Changes that began as mere notions some 18 months ago. 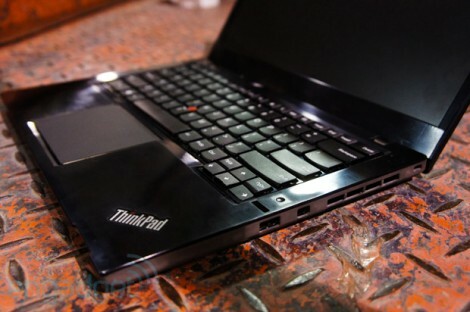 With just a glance, the new ThinkPad looks far more modern. The reality is that older ThinkPad bodies never really felt as if they were designed for the current generation, but the company has abolished needless hooks, latches and bumpers, while also ridding the interior of the convoluted multi-button control mechanism. The widened trackpad now dominates the palm rest, and the protruding ThinkLight has been replaced with backlit keys. Oh, and as for the LCD bezel? 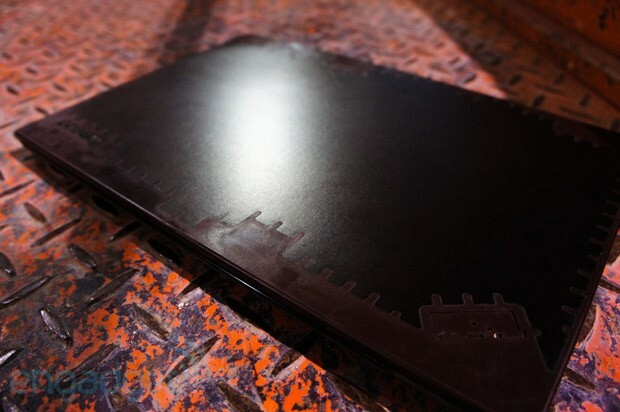 It’s the thinnest to ever grace a T-series ThinkPad. The revamping of the T431s is merely a taste of what’s to come from Lenovo’s most storied laptop line. Redesigning a hugely iconic (and frankly, loved) laptop line is something that must be handled with delicate gloves; change too much, and your loyalists flee, but change too little, and your rivals maintain the edge in design. The revamping of the T431s is merely a taste of what’s to come from Lenovo’s most storied laptop line. 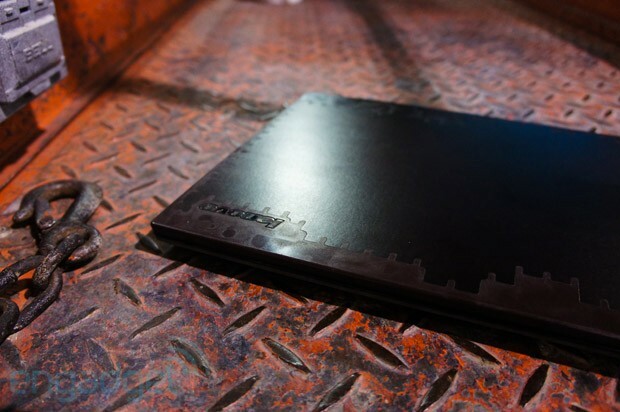 As part of a planned revamping, Lenovo tapped dozens of departments across the world to put new ThinkPad prototypes into the hands of average people — people from all walks of life and strewn across a variety of cultures. Then, they watched and logged the feedback for a total of 18 months, chipping away and retooling the final product. The company didn’t invest more than a year of research to polish up a single machine — it’s putting those findings to work across the entire range. While the machine that debuted at Engadget Expand will be the first to showcase the fruits of that labor when it ships in April at a $949 starting point, I’m told the siblings and cousins that follow will boast similar marks. I asked Proctor — along with Jason Parrish, manager of Lenovo’s ThinkPad strategy and planning, and Tom Butler, director of worldwide ThinkPad product marketing, why the team felt it was necessary to redesign proactively. Making no bones about it, each agreed that the ThinkPad line isn’t a guaranteed success just because it has been around for a score. But just scoping out the competition and trying their best to hop ahead based on conjecture wasn’t going to cut it this go ’round. Such is the mentality of an adult stifling the lustful intuitions of a younger soul. 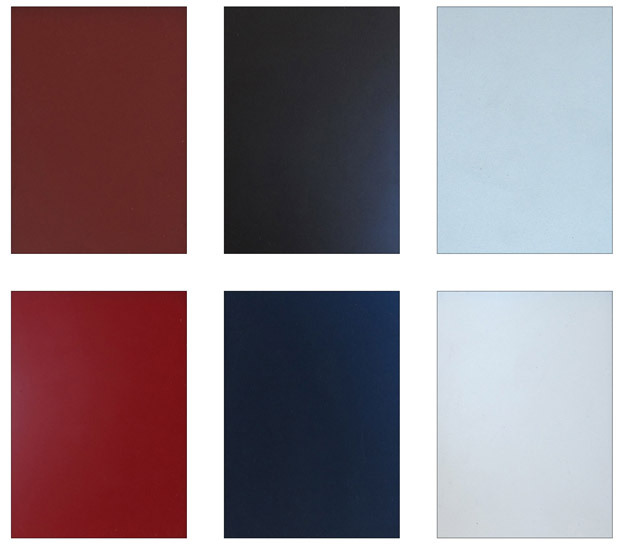 Painting a picture of what it was like inside one of Lenovo’s mobile R&D labs, Parrish described a “wall” of ThinkPads, glazed in every color and shade imaginable. Exteriors doused in the glossiest of blacks to the carbonest of fibers were on display, with a panel of laypeople asked to provide raw feedback on which version they’d consider tossing in their briefcases. 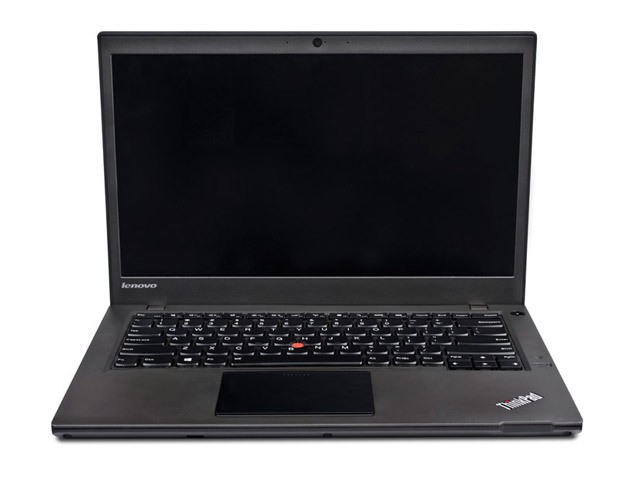 Parrish described a familiar refrain when folks waltzed by one particular machine — a blissfully red ThinkPad. The initial response? Unanimously positive. Around 10 seconds later — practically without fail — each critic changed their tone. “This is pretty, but I couldn’t see myself actually owning it and using it on a daily basis.” Such is the mentality of an adult stifling the lustful intuitions of a younger soul. What would clients think of such a flashy lid? Would it send the wrong message? At the conclusion of the group’s research, a gently tweaked coat of fingerprint-resistant black was settled upon. People love style, but professionals require class, and that’s the delicate balance that Lenovo’s trying to strike going forward. In discussing the myriad choices made over the life of the redesign project, I pressed the group to reveal what items the subjects simply wouldn’t budge on; the things that were prioritized highly without fail. Reiterating the point, Proctor added: “When we talk to people, they’ll say things like, ‘Well, as long as [a laptop] has around four to five hours of battery life, that’s good enough — I’m never away from an outlet for much longer than that. '” She did, however, admit that select responders vocalized “very high needs” and resorted to other methods in order to stay powered up for longer periods, but it was quite clear to me that we aren’t yet living in a world where the majority of OEMs are feeling pressure to radically innovate on the battery life front. According to Proctor, “battery life, mobility and a laptop’s thin-and-light nature remain top of mind.” I offered something of a counterpoint, noting that many laptop users that I’ve spoken with have confessed that they’d be willing to buy something marginally thicker than the ludicrously thin laptops shipping today if it just had all-day battery life. And, in a separate world, many iPad loyalists are spending $150+ to buy horrendously bulky keyboard cases that make their (far less utilitarian) tablet much, much thicker than — say — an 11-inch ultraportable. She also noted that the sheer sexiness of laptops today is being perceived far differently than even one to two generations ago in the ThinkPad universe. 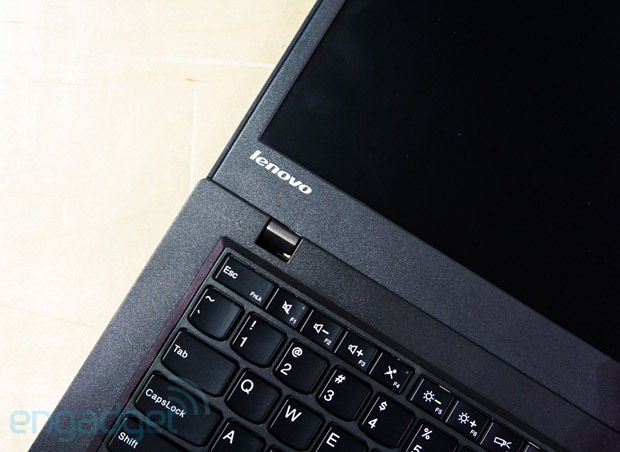 Aesthetics are so important, in fact, that Lenovo has finally flipped the exterior lid logo so that it’s properly situated when viewing it as a bystander. Parrish noted the logo’s orientation was “a hot-button topic internally for years,” and finally, feedback from customers persuaded them to pull a 180. Of course, some other laptop maker made a similar decision on its PowerBook line way back when, and that one turned out just fine. Aside from the macro-level view, I also asked Lenovo’s team to talk about the specific changes that were made. Naturally, carving out a thinner, lighter and longer-lasting creature was a given, but what about the details? Why does the VGA port remain in 2013? Why isn’t the entire bottom plate supportive of inductive charging? Why are those infamous LCD latch hooks gone? 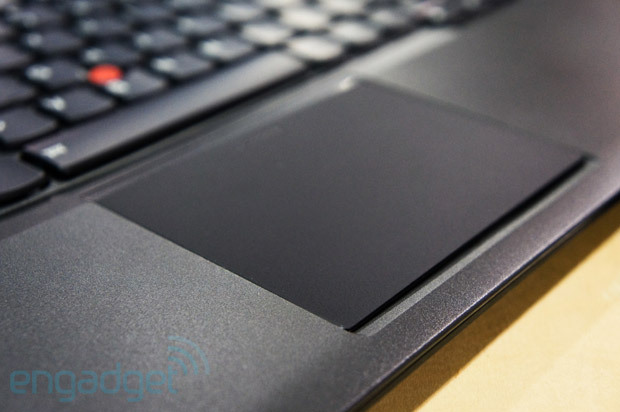 And, perhaps most importantly, why did Lenovo choose today to join the giant, no-button trackpad bandwagon? 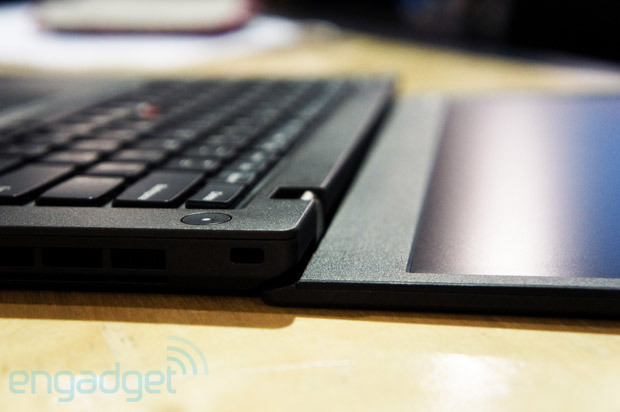 Naturally, the ThinkPad line is foremost a business-centric machine. There’s some consumer crossover — perhaps more today than in decades prior — but alienating enterprise users in favor of hipster demands isn’t about to happen. That, in a sentence, is why there’s still an Ethernet port and a VGA socket on the T431s. Anyone who has ever stepped foot inside a boardroom will recognize that business projectors default to VGA, but Proctor did confess that Lenovo as a whole is planning for a world where VGA connectors aren’t necessary in 2015. In other words, don’t bank on the next next-generation ThinkPad to boast such a superannuated port. Lenovo did affirm to me that there are some inductive charging tests that are ongoing within its labs. Without giving too much detail, Lenovo did affirm to me that there are some inductive charging tests that are ongoing within its labs. The reality, however, is that the power requirements for modern machines and the power abilities of modern charging pads create too wide a chasm for the company to reasonably address. Parrish and Butler both suggested Lenovo would be more than happy to issue laptops with wireless charging once the technology matures to a point that it would be more than an “expensive and unsightly add-on,” further proving the proverbial chicken-and-egg problem is apt to hamper the technology’s advancement. If you can’t convince an OEM like Lenovo to take a chance with inductive charging in its current state, where’s the funding going to come from to perfect it? Among other subtle changes in the new ThinkPad line, the team decided to do away with the rubber “hot dogs” (as they’re internally dubbed) and “sweater catchers” (again, a Lenovo designation) on the screen. 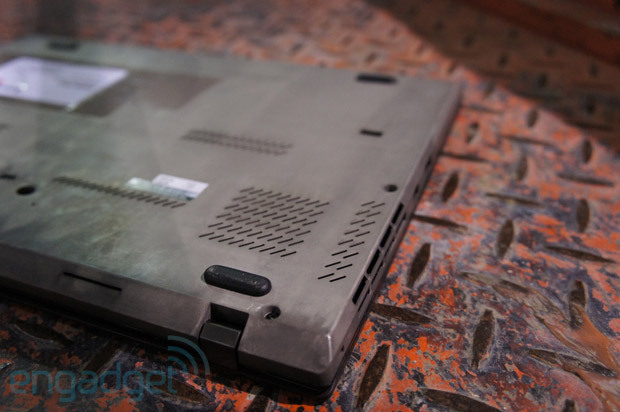 Instead, the bezel has contracted and a redesigned hinge is in place, preventing the next wave of Lenovo laptops from needing physical hooks to remain closed. The reason? “It’s just sleeker,” says Parrish. Indeed, when gazing at the T431s in comparison to the T430s, everything just looks less busy. Fewer bumps here, a few less extrusions there — reaching back to Proctor’s point; these are things that matter today, but were in an entirely different sector of the priority chart just a few years ago. In fact, it took Lenovo two solid years working lockstep with Synaptics to create a driver stack that would ensure optimal performance in this unique scenario — a laborious process that I’m personally thrilled was undertaken given the woeful performance from most Windows-based trackpads. Moreover, in yet another nod to today’s changing expectations, the top row of Function keys now default to handling multimedia duties; old schoolers who still need to hammer on F5 for any given reason can use a thoughtfully included Fn lock feature. Proctor had a palpable sense of calm in her voice when confessing that Lenovo started this redesign process ahead of an internal schedule. According to her, having 18 months to receive feedback, iterate, slash-and-burn, listen a little more and hammer on additional prototypes was liberating. Having 18 months to receive feedback, iterate, slash-and-burn, listen a little more and hammer on additional prototypes was liberating. Indeed, there’s always some place to go. Parrish mentioned that the industrial designers were pushing hard to shove newer 7mm HDDs into the T431s, but things didn’t quite line up. “We wanted to get that thinner hard drive technology implemented, but what we found from a scheduling perspective — along with testing it to meet overall durability standards — [is] it just didn’t pan out.” The hypothesized space savings? “It’d be around 1mm thinner on the front edge,” says Parrish. I pay a visit everyday some web pages and websites to read articles, but this website provides quality based writing.